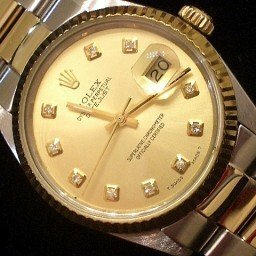 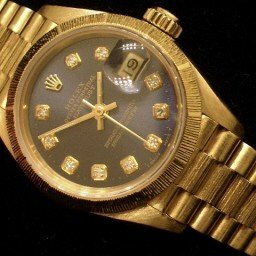 BeckerTime is proud to offer this VERY UNIQUE Genuine Rolex timepiece. 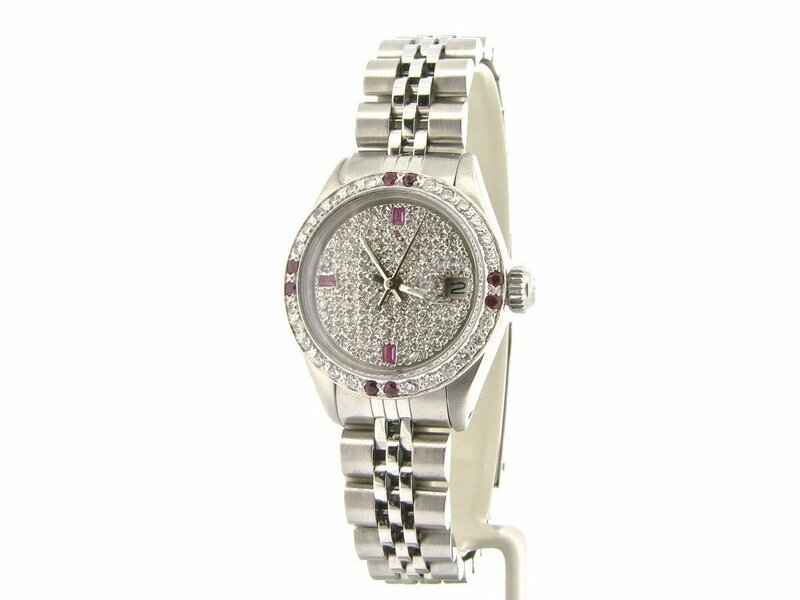 it is a Ladies Rolex Datejust Stainless Steel Watch w/ Diamond & Ruby Dial 6916 that guaranteed to take your breath away! 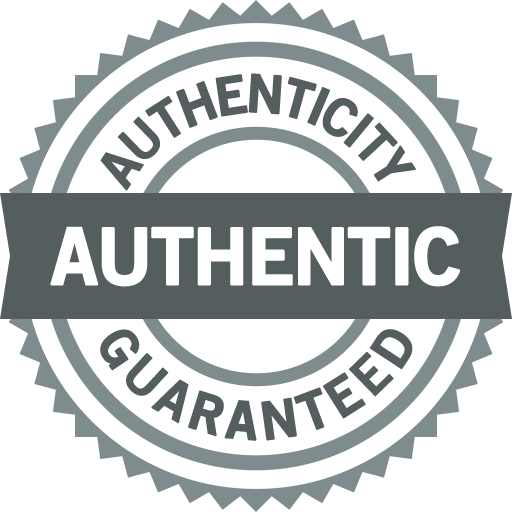 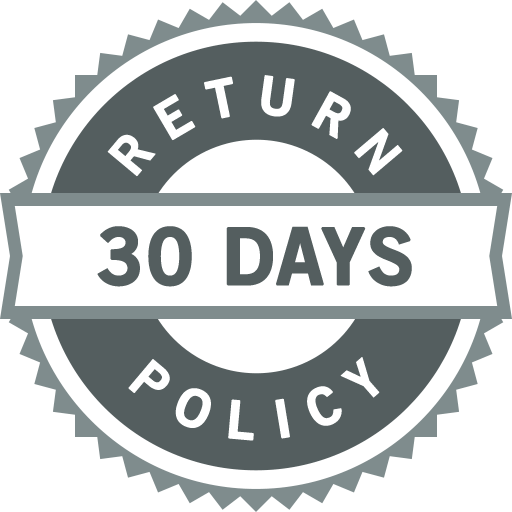 It is in SUPER EXCELLENT CONDITION and comes with a BeckerTime 1 year warranty & 100% lifetime trade-up guarantee! 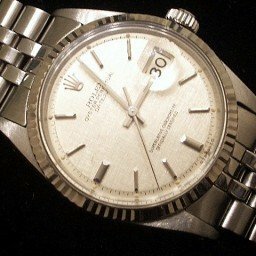 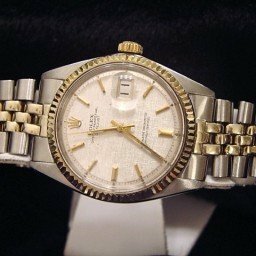 Don’t let this one get away … Buying a Genuine Rolex with diamonds in this good of condition at this price doesn’t happen often … This type, if all factory, would sell brand new for $19,000 (est) plus tax today. 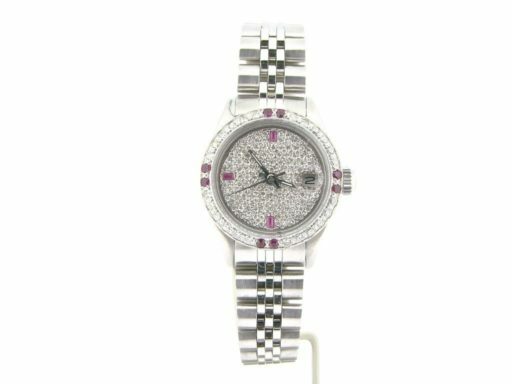 Dial The genuine 1.00 carat pave diamond dial with baguette rubies is in excellent condition. 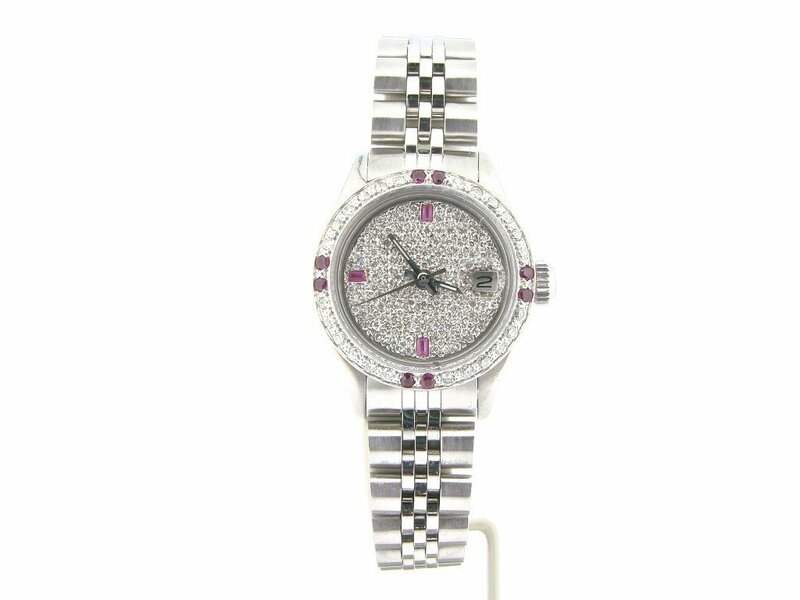 This is a custom made aftermarket dial of the finest quality. 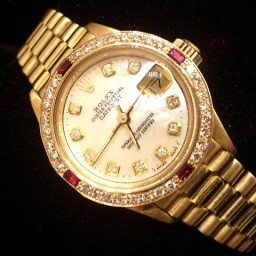 The diamonds face up bright white with tons of fire. The rubies are well saturated with the most eye pleasing red hues! 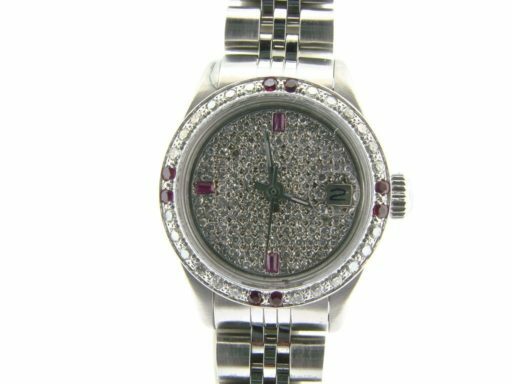 Bezel Genuine .85 carat diamond bezel is in excellent condition. 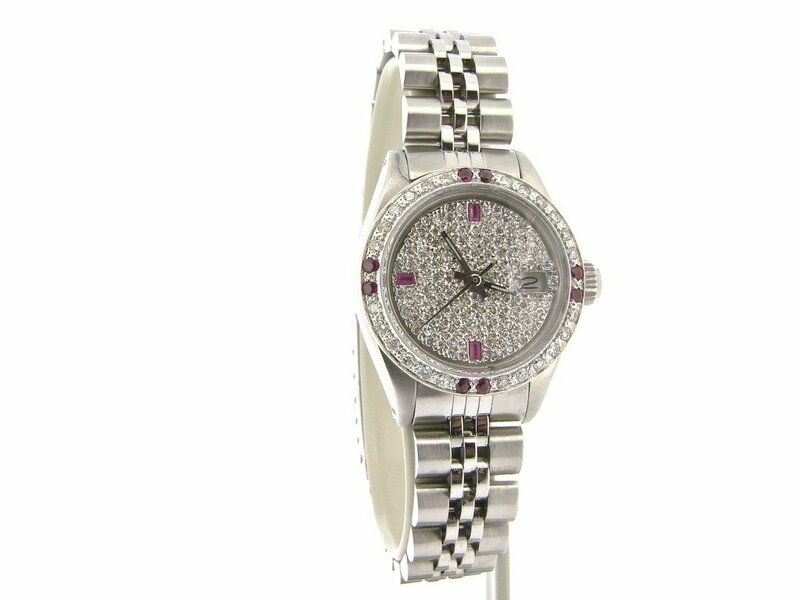 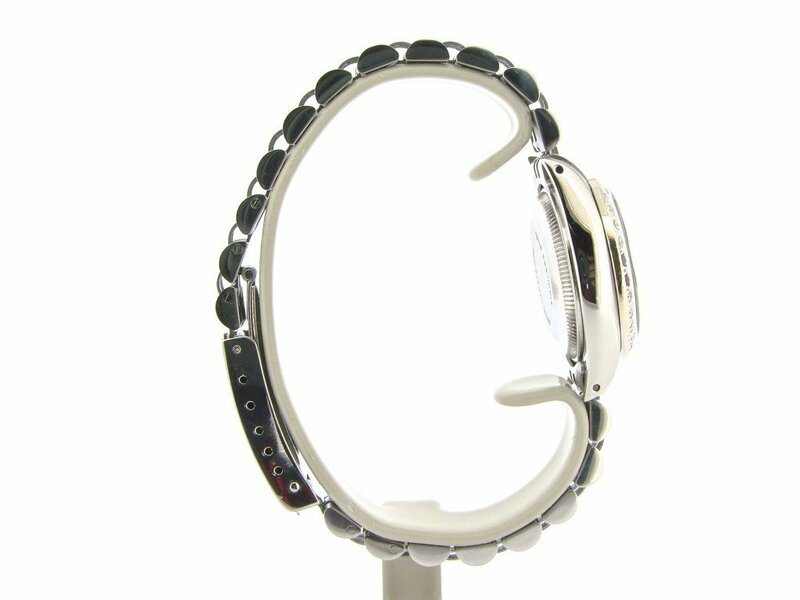 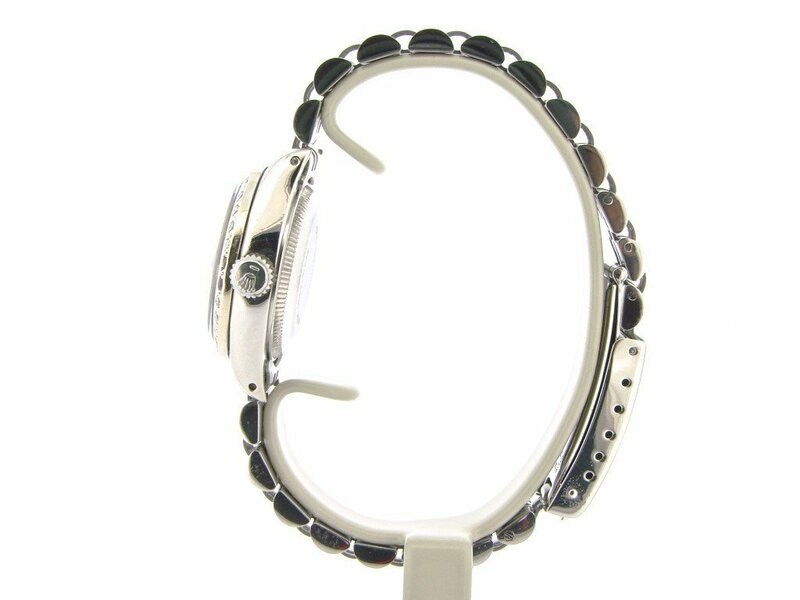 It is a custom aftermarket bezel of the best quality with round brilliant diamonds and rubies bead set in 18k white gold. 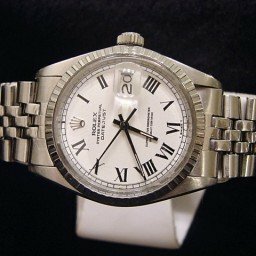 The diamonds are eye clean and face up bright white with tons of fire. 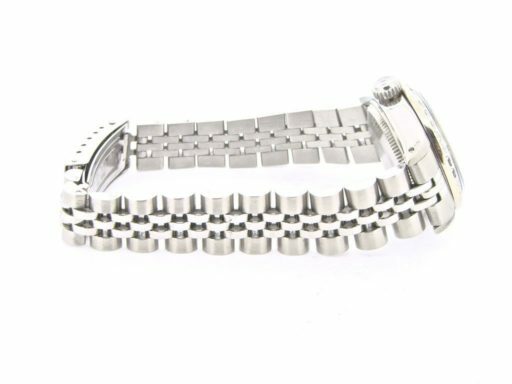 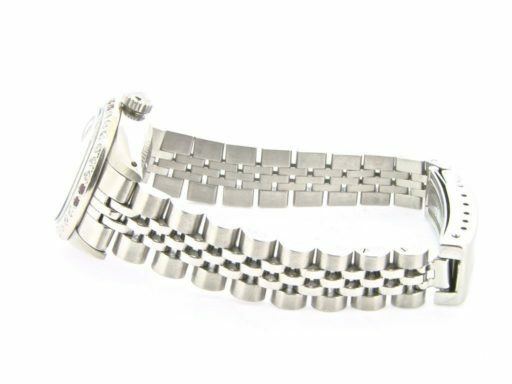 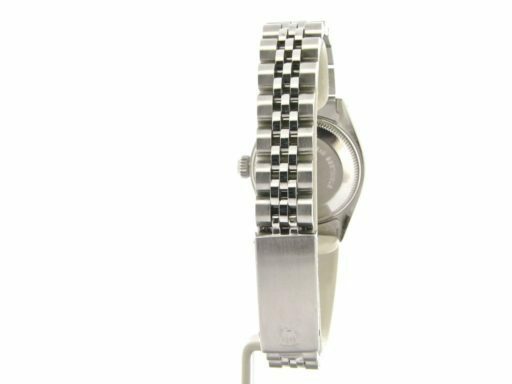 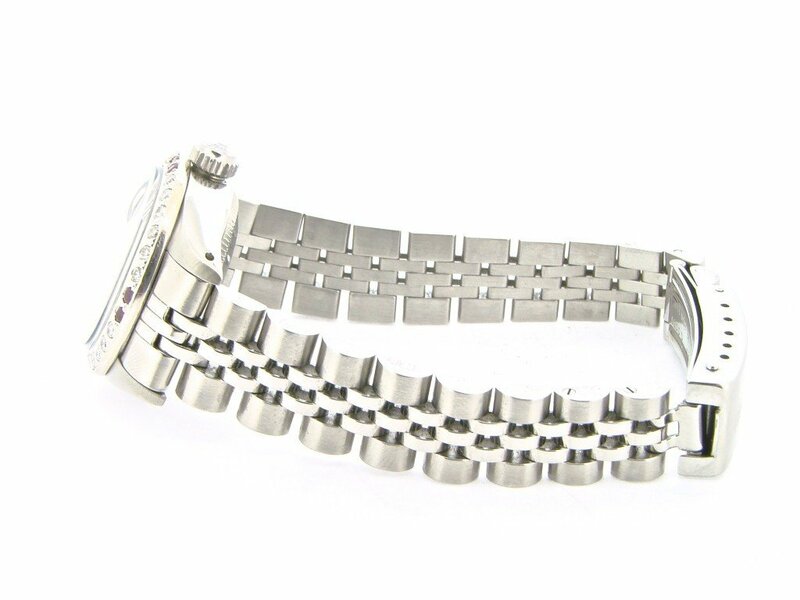 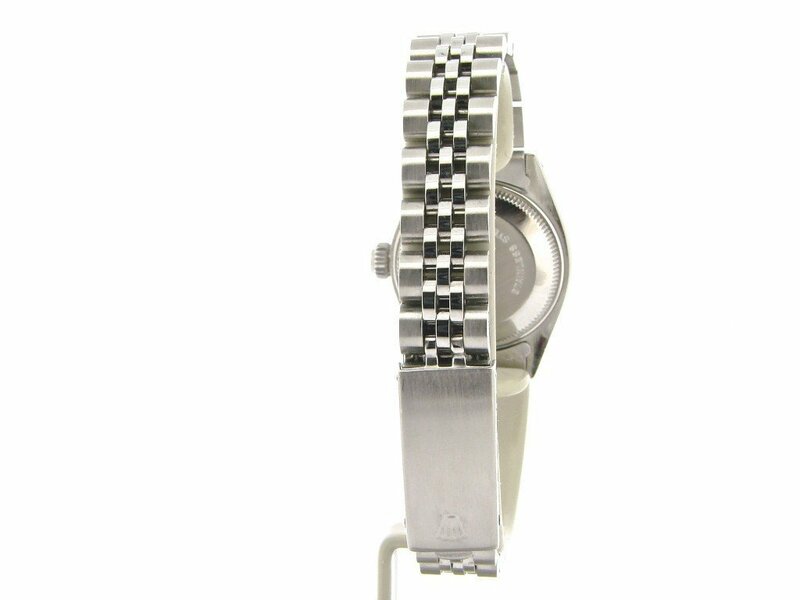 Band Original Stainless Steel Jubilee bracelet with Rolex-signed clasp is in super excellent condition.